The most prestigious science book prize in Britain has been won by a solo female writer for the first time in its 28-year history. Gaia Vince, a journalist and broadcaster based in London, was named the winner of the 2015 Royal Society Winton prize for Science Books at a ceremony in London on Thursday evening. The award puts her name at the top of a long list of previous winners that includes some of the greats of science writing, such as Stephen Hawking, Stephen Jay Gould, Jared Diamond, James Gleick and Bill Bryson. Vince quit her job as an editor at the journal, Nature, to spend more than two years travelling the world to research her book,Adventures in the Anthropocene: a Journey to the Heart of the Planet We Made. The word Anthropocene was coined in the 1980s to describe what some regard as a new epoch in Earth’s geological history: one in which humans replace nature as the most influential force on the planet. The writing project was not an overly comfortable one. 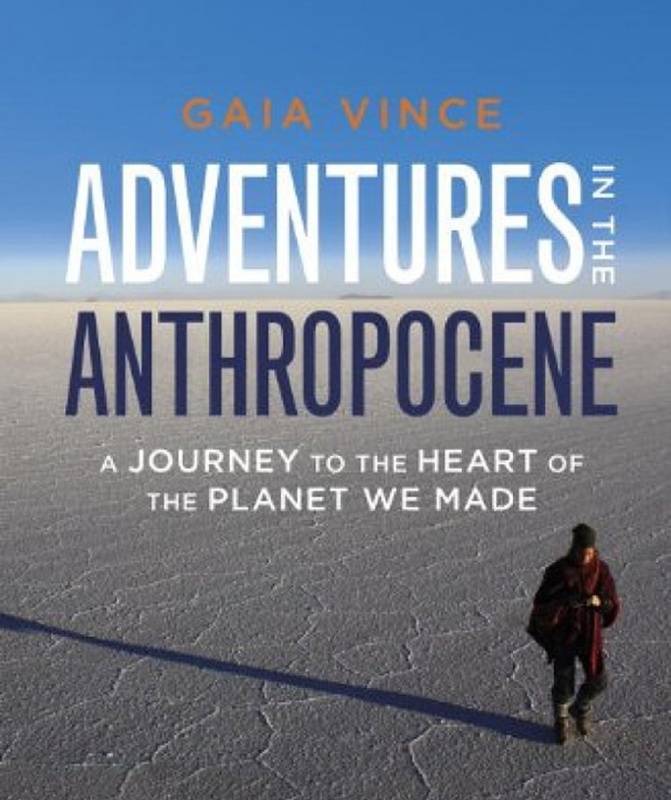 Vince sought out people and places most disrupted by humanity’s plundering of Earth’s resources. It is no surprise that the greatest impact is felt by the poorest. She visited slums in Colombia, and clambered down a silver mine in Bolivia. In the Caribbean, she found a man who had built an new island from rubbish and brightened it up with papaya and coconuts. On it sat two timber houses. Before her globetrotting was done, she had fallen ill with malaria.